The word is unbelievable, that is the expression on everyone’s lips today, that an Appellate Court could now overturn the ruling of the Chief Justice on the basis of some “voodoo” arithmetic that 34 votes constitute a majority. In essence, the Appeal Court has made a 180-degree turnaround and went against the ruling in the lower court. Then we have reason to ask what caused a change of heart? The answer is that those Justices in the Appeal Court were influenced. Just as in the Burnhamite days, the Judiciary has once again become tainted by the Government. 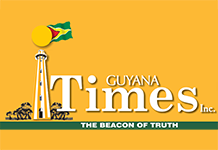 Guyana has returned to the fold of corrupt nations of the Third World, where the Judiciary cannot interpret the law and act independently and judiciously. Guyana has now returned to the state of being the mocking stock of the Caribbean. Now, let’s take a closer look at Friday’s ruling. In making that decision, the learned two judges of the Appeal Court failed to acknowledge certain germane aspects of the Constitution. In the first place, our Constitution has as its main clause that a Government (paraphrase) loses its hold on power/office on the successful passage of a no-confidence vote of “the majority” in the house. That majority is 33 in a 65 seat Assembly. That aspect of our Constitution cannot be glossed over; that is the law! We do not have to go very far to validate this because the coalition exists as a Government based on a count of 33 as against 32 for the opposition. In my view, to have attained that important place of forming a Government based on a mere one seat (33) is more important a milestone than 34 to unseat them. More so than the present re-interpretation of the law to mean 34 to unseat them. That’s not something enshrined in ours! Secondly, they upheld Charrandas as a legally elected Member of Parliament, but on the other hand, when it came to voting on the no-confidence motion, his vote was considered illegal and invalid? What nonsense, how can this be? On the one hand, he is considered legal, but on the other, you are counting him out? This is total nonsense, we have been delivered legal bunk, pure and simple, and this has to be appealed with the utmost urgency. The two justices, in their haste to give the Government “a chance”, has given the most convoluted ruling ever. It has opened up our legal system to all sorts of interpretations contrary to law. That ruling has certainly exposed our legal system for ridicule ad infinitum. This is certainly not the end of this matter. We are in for further legal arguments which, in my view, will see this ruling overturned and the former High Court ruling upheld. I rest my case.